Good morning friends. 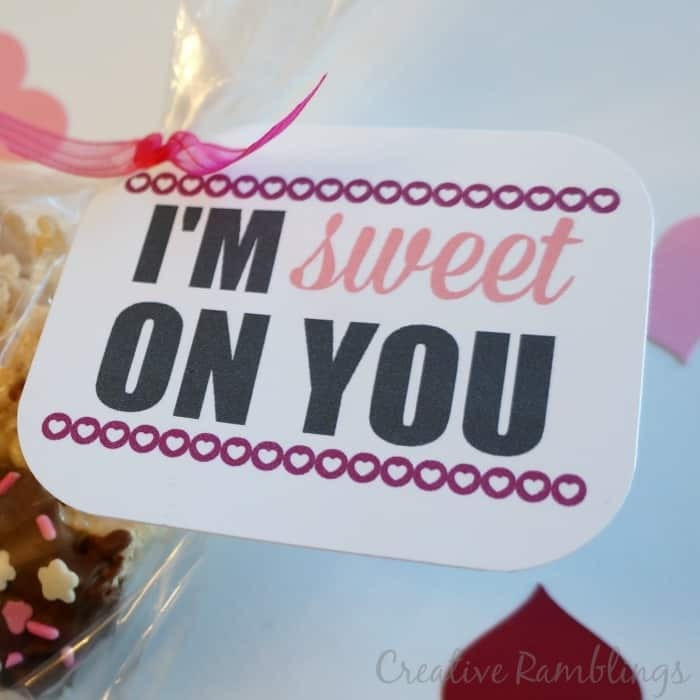 I am sharing a quick and easy Valentine treat with you today, I’ve even got a printable tag you can use to make your job that much easier. My post today is part of a Spring Craft Blog Hop (yes spring, its on it’s way!). We’re challenging you to create and share a Valentine’s Day, President’s Day, or Mardi Gras craft tutorial. This hop will run from January 20 – February 17 and you can share your creations in the link-up at the bottom of the post. 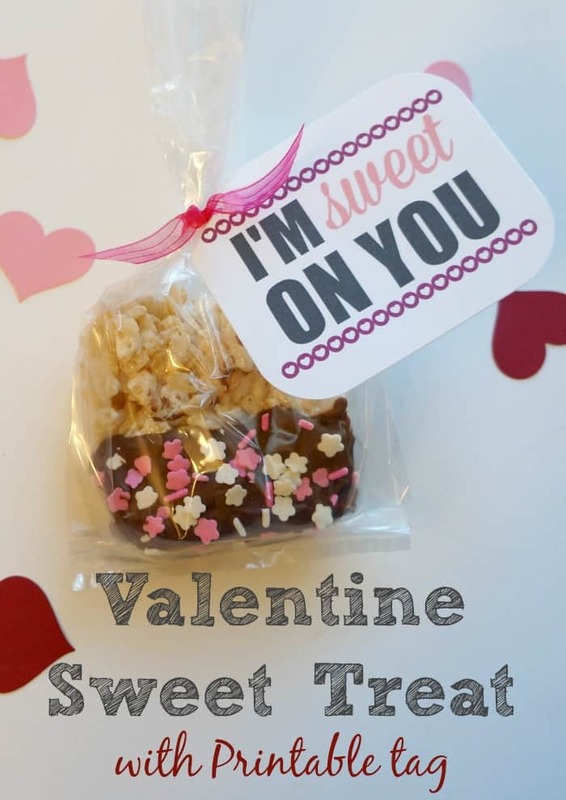 I created this cute and simple Valentine treat to share with some special friends. The treat is a Rice Krispie square dipped in melted choclate and covered with fetive sprinkles. I created this adorable tag that you can download and print out below. Feel free to use it for your own personal Valentine’s Day treats. Looks great Sarah. Added it to the inlinkz. Thank you for the opportunity to share ! Love your printable! So sweet and cute! Just entered my FREE Valentine’s Day Printables!! Thanks for sharing your adorable treat and download with everyone. It is absolutely adorable and looks oh so delicious! Pinned 🙂 Can’t wait to check out the many wonderful projects on this blog hop! Oh this is so cute! I love rice krispies and this tag is perfect. Pinning. I love this idea! The treat with the printable is so stinking cute! I love your printable . I think I might use it. Thank you for sharing. I pinned it to my Valentines board. So glad you like it Kim, thanks for stopping by.